Iran Deal: Was the West Skinned? The administration's position is that the nuclear deal is separate from any other conversation with Iran including the fate of the Americans imprisoned there: retired FBI agent Robert Levinson, former U.S. Marine Amir Hekmati, and Iranian-American Pastor Saeed Abedini, who is currently housed in a "violent offenders" prison. We get, essentially, nothing. But it is worse than that. Whatever the P5+1 believes it achieved pales in comparison to what the deal cost. The nuclear-related agreement signed between the P5+1 and the Iranian government is, on its face, one-sided. In essence, according to Senator Mark Kirk (R-IL), they get: billions in sanctions relief, 3,000 new centrifuges, a plutonium reactor and enough enriched uranium for one nuclear bomb. We get, essentially, nothing: no centrifuges dismantled; no uranium shipped out of the country; no facilities closed; no delay at the Arak plutonium plant; and no stop to missile testing, terrorism or human rights abuses. But it is, actually, worse than that. The administration's position is that the nuclear deal is separate from any other conversation with Iran, including the fate of Americans imprisoned there. Asked whether retired FBI agent Robert Levinson, former U.S. Marine Amir Hekmati, and Iranian-American Pastor Saeed Abedini were discussed in Geneva, State Department spokesperson Jen Psaki said, "The P5+1 talks focused exclusively on nuclear issues, but we have raised – repeatedly raised [these cases] in our bilateral discussions with Iran." Separating U.S. demands for access to Iran's nuclear bomb development complex at Parchin (and perhaps other military sites) from the nuclear talks. American hikers Sarah Shourd, Josh Fattal and Shane Bauer were targets of opportunity, captured and imprisoned as spies by Iran in July 2009. Shourd was released in 2010, Bauer and Fattal in September 2011. As part of an arrangement or not, in 2012, the United States released Iranian prisoners Shahrzad Mir Gholikhan, Nosratollah Tajik, and Amir Hossein Seirafi. Unlike the Americans, however, the released Iranians were clearly working for the Islamic Republic's military establishment. Gholikhan had been convicted on three counts of weapons trafficking. Tajik, a former Iranian ambassador to Jordan, was caught attempting to buy night-vision goggles from U.S. agents. Seirafi was convicted of attempting to purchase specialized vacuum pumps that could be used in the Iranian nuclear program. It appears the price for the three hikers was three purchasers of illegal weapons for the Iranian government. The lopsided deal was made considerably odder by the later release of Mojtaba Atarodi, a top Iranian scientist. The then-secret U.S.-Iranian nuclear talks began in March 2013, after the three-for-three. In April, according to Kerry Picket at Breitbart News, the U.S. released Atarodi, arrested in 2011 for attempting to acquire equipment that could be used for Iran's military-nuclear programs. The Atarodi case is very problematic, beginning with why such an Iranian scientist was allowed in the U.S. 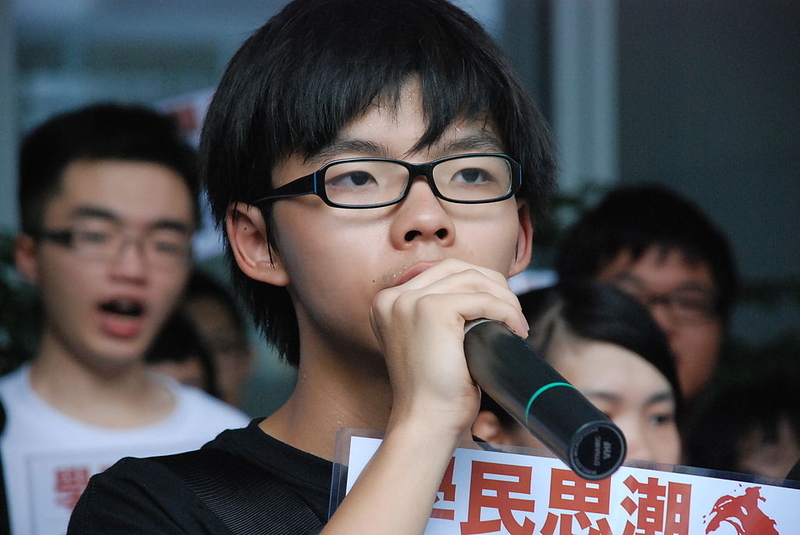 In cases involving theft of technology, charges are generally public and there is a trial. Atarodi's arraignment was secret and the U.S. attorney refused to provide any public information. It appears Atarodi was to have to have been released to house arrest with electronic monitoring, due to concerns about his health, but the deal fell through and he was kept in a federal detention facility in California. There is no public information on what he was attempting to acquire, but previous cases involving Iran have included very high speed cameras, very high frequency oscilloscopes, and nuclear trigger Krytrons. Atarodi would have been considered a high-value prisoner. Meanwhile, the three Americans -- Levinson, Hekmati, and Abedini -- remained in jail in Iran. A balanced deal would have seen these three released. 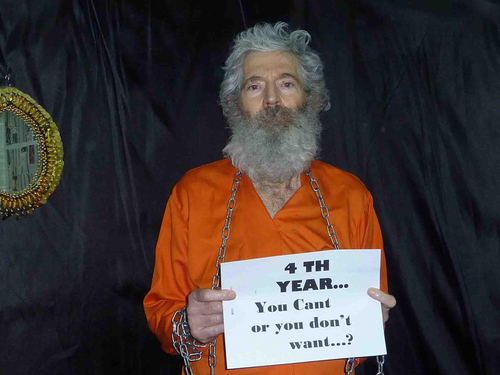 Levinson has been an Iranian prisoner since 2007. Hekmati was sentenced to death as a CIA spy, but while the Iranians set aside the death sentence and decided to have a new trial, it has not taken place. Abedini was sentenced to 8 years in prison for "anti-Iranian activities," which appears to mean having practiced his Christian faith while in Iran. He is currently housed in a "violent offenders" prison. The fact that the U.S. negotiators failed to have any of them – let alone all of them – released in exchange for Atarodi could be seen as a harbinger of the unbalanced deal to come. And it came with the Western decision to omit any discussion of the military facility at Parchin. The IAEA has been demanding to inspect the Parchin facility near Tehran since 2005, believing the site was used to test explosive triggers for a nuclear device. Satellite photography of Parchin shows the construction of a special explosives containment building that would serve precisely that purpose. Satellite imagery from August 2013 indicates major alterations in the Parchin site, including paving that would diminish "the ability of IAEA inspectors to collect environmental samples and other evidence that it could use to determine whether nuclear weapons-related activities once took place there," according to the Institute for Science and International Security. That would seem to make it essential even to the strictly nuclear-related conversation the State Department claims it was having with Iran. But Parchin was not part of the discussion and not part of the deal. In its "Fact Sheet" the White House alludes to Parchin, saying "a number of issues" involving Iran's compliance with Security Council resolutions need to be resolved, including "questions concerning the possible military dimension of Iran's nuclear program, including Iran's activities at Parchin." The Joint Plan of Action, however, says nothing about Parchin or about Marivan near the Iraq border, where large-scale explosive testing is also reported to have taken place. There are probably dozens of other facilities in Iran where work on nuclear weapons is going on. None of the military facilities is part of the deal. Anything the P5+1 believes it has achieved pales in comparison to what the deal cost. The West gave permission for Iran to continue uranium enrichment; permitted continued secrecy for a military-related facility that the international community had demanded to inspect; and acquiesced to continued imprisonment for three Americans caught in the Iranian prison system, while Iranians who were part of the nuclear program went free. And those are only the debits on nuclear-related issues. If Iran's human rights nightmare, support for the mass slaughter taking place in Syria, and support for terrorism around the world are factored in, the American pre-payment was a very bad deal for the West. Taqiyya is a Sharia mandated law delivered by Muhammed himself. It simply means a Muslim can lie or deceive to anyone to advance the cause of Islam or to defend the cause of Islam. The Iranians will agree to anything to alleviate their financial problems with the West and hide their true intentions in regard to development of an atomic bomb. Tell me one deal they have ever kept with any non-Muslim. Kerry is blowing in the wind. I have thought for some time exactly what I have just read from Gatestone. Starting from the position of the new president Rouhani, who was to say the least hawkish only a couple of years ago, has now reinvented himself as a dove of peace. That in itself would make most people suspicious in the light of the outgoing president Ahmadinejad loudly proclaiming that Israel should be wiped off the face of the Earth. Can a country change so drastically so quickly? I think not! Then again, they are not all for the title of president for their real leaders. The Ayatollahs are; have they changed their tune? On top of it all, it is perfectly permissible, even encouraged in Islam, to tell lies in order to further the goals of Islam. There is only one goal, and that is the establishing of a global caliphate, which in itself proves the point about telling the truth. Only a lustrum ago, Islam's leaders would have denied any such desire; now five years later, they openly admit it having achieved the main goal which is establishing themselves in every part of the world. They can now wait for sheer breeding power to achieve the rest of their goals. I believe that Iran will continue to deny their nuclear ambitions, up until the first nuclear test; and then it will be a fait accompli and in the words of that sitcom Happy Days "Sit on it". Then they will deny that the are trying to fit one into a rocket warhead, until they do. Then it will be what are you going to do about it? Then it will only be a matter of time. Both influential Israelis [on Arutz Sheva] and Americans [Duncan Hunter] insist on nuking Iran - sooner than later. Neither countries are outraged. No wonder Tehran wants to protect itself. Too bad that most U.S. readers will never see this article. Our newspapers just do not cover these details. Yes, it was a very bad deal for not only the U.S., but also for Israel, for the Saudis, and for the entire Near East. I am sure that Iranian leaders had a huge celebration after the treaty was signed. I wish the author would mail her article to both CNN and MSNBC in the hopes that they will broadcast some of it the the U.S. masses - not that most will care.